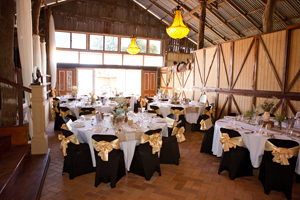 For your dream country barn wedding! At “Clandulla Weddings” we provide a dedicated team from start to finish! Our team has been hand-picked for their ability to perform at the highest level… from the girls that take care of you every wish in accommodation to the gardener who puts his heart into making this a wedding to remember – all are at your beck and call on your special wedding day. This entry was posted in Ceremony and Reception Venues, Wedding Services and tagged Barn Weddings, Calndulla Weddings, Clandulla Cottages & Farmstay, Country Style Receptions on January 1, 2013 by Detlef.